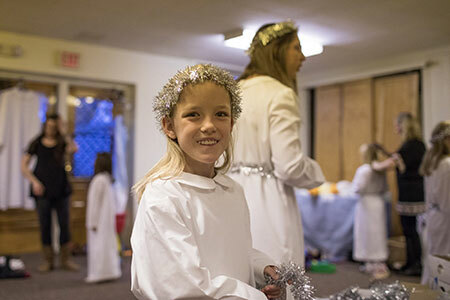 “Joy,” a 15-minute-long short film featuring local traditions, was shown on a loop at the Frederick Meijer Gardens & Sculpture Park Christmas and Holiday Traditions Around the World exhibition. 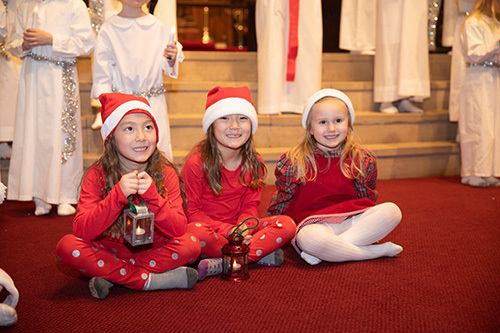 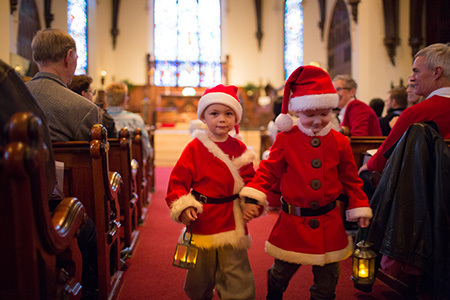 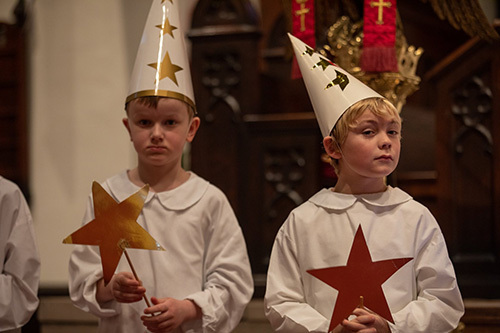 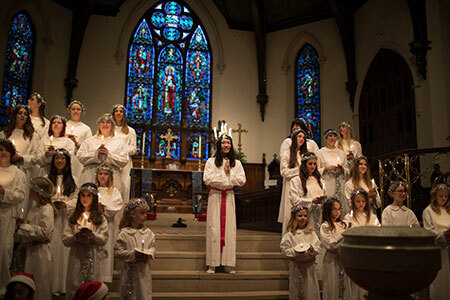 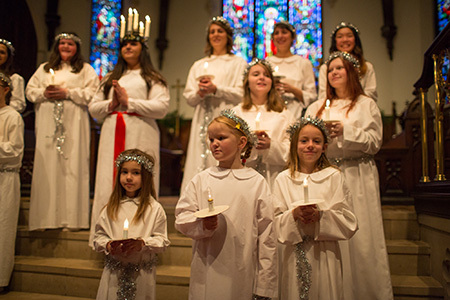 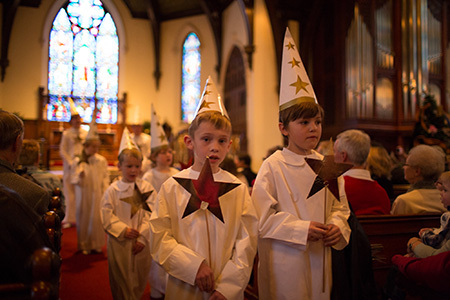 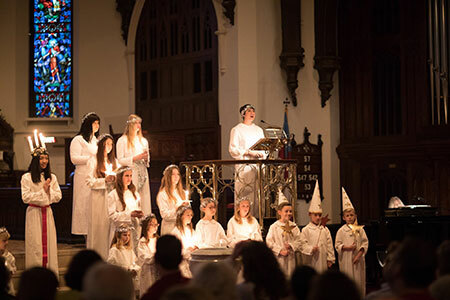 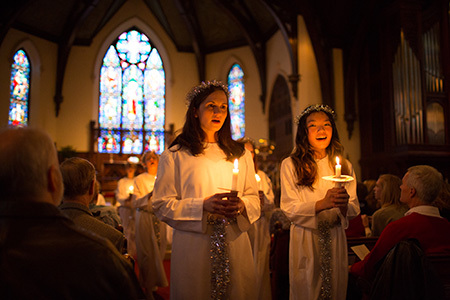 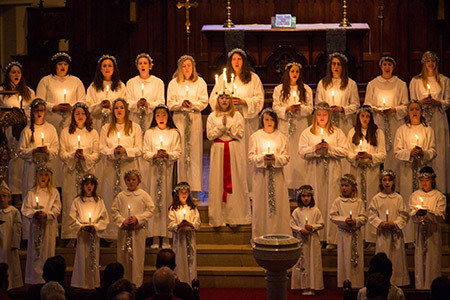 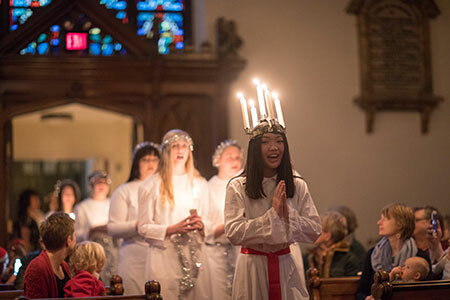 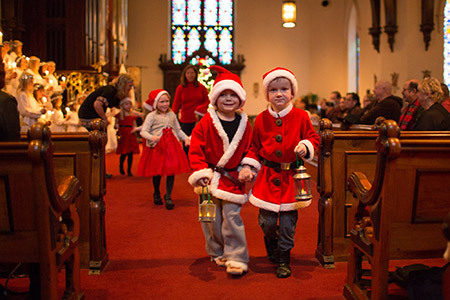 There is some lovely footage of our Lucia pageant around the 3-minute mark. 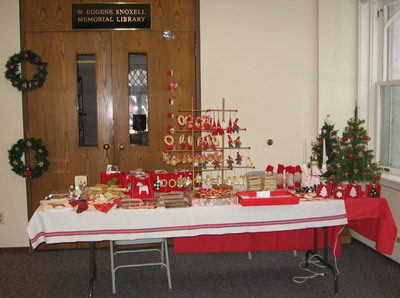 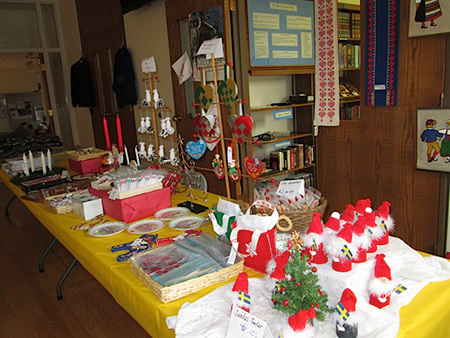 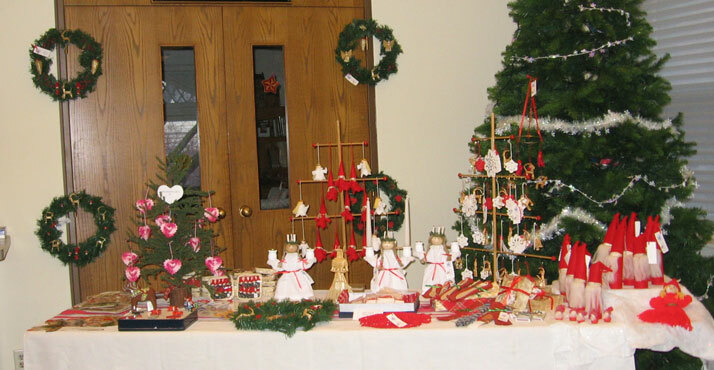 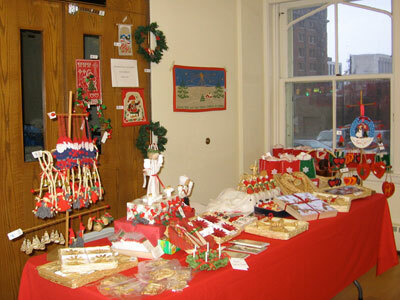 Crafts made by women’s group Flitiga Lisor were for sale at the event. 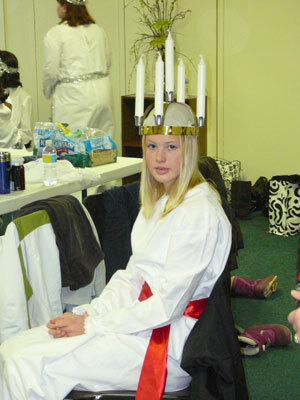 2005’s Lucia was Hanna Taber. 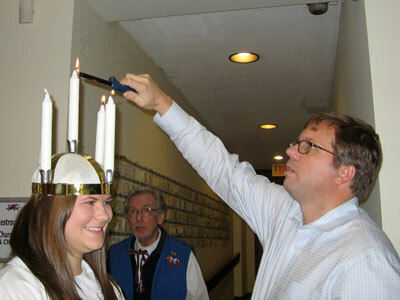 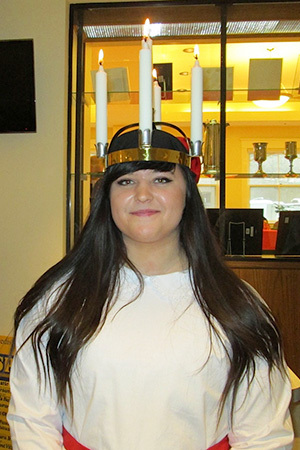 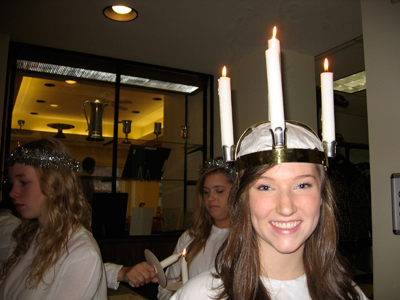 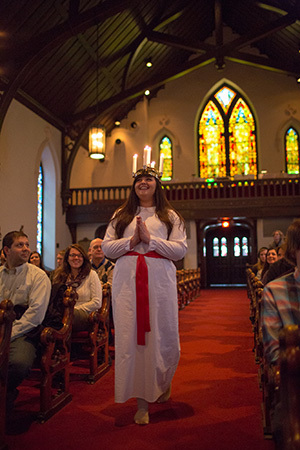 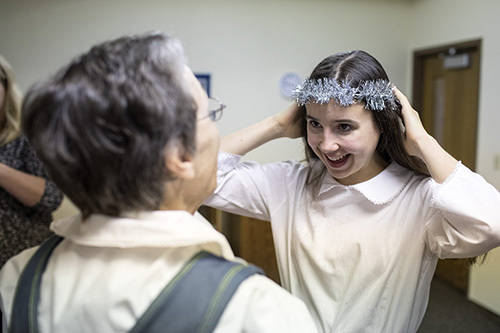 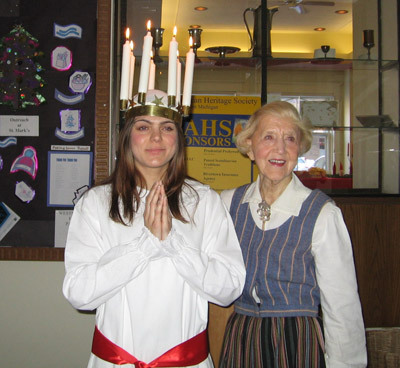 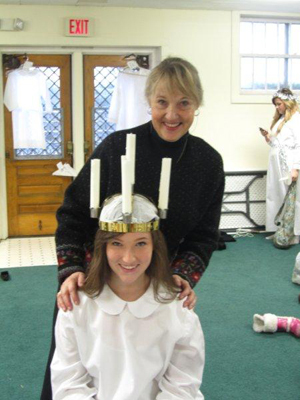 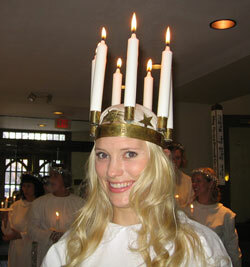 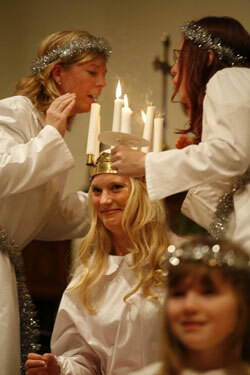 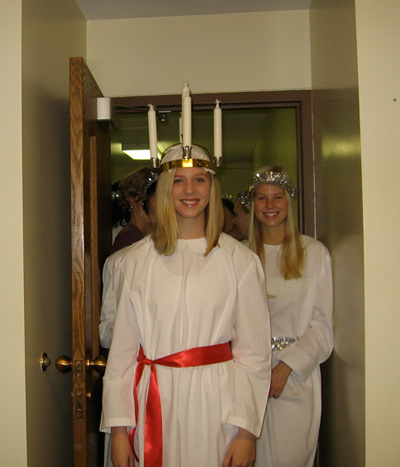 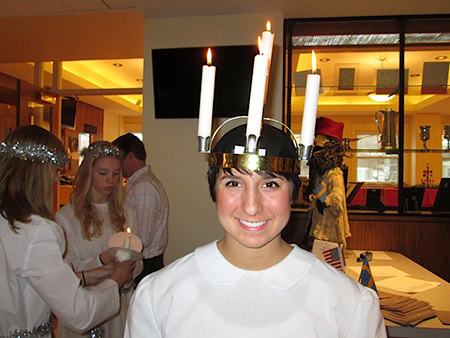 Elisabet Wahlstedt, an exchange student from Sweden, was our Lucia. 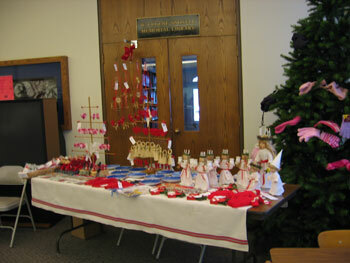 Part of our “Flitiga Lisa” group, making ornaments to sell at the Lucia celebration. 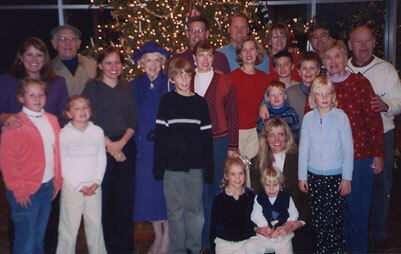 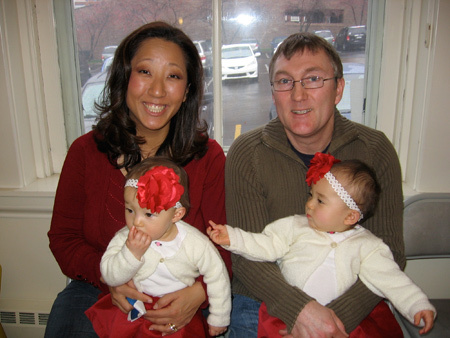 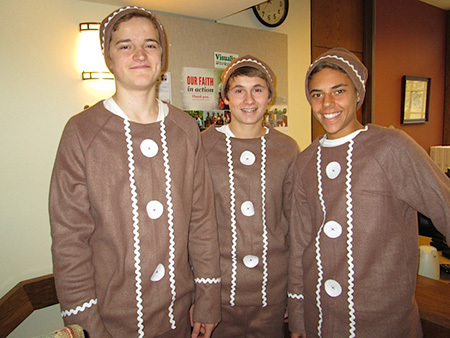 Part of the group that dressed and later took down the Swedish Christmas Tree at Meijer Gardens. 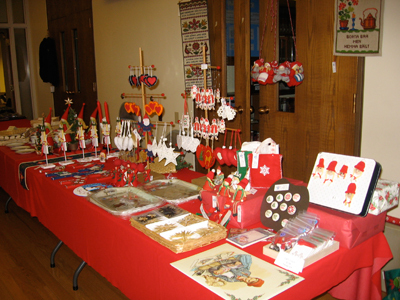 They had 43 countries represented. 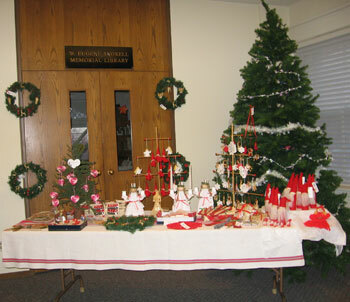 Our tree was on display Nov. 21, 2003-Jan. 6, 2004. 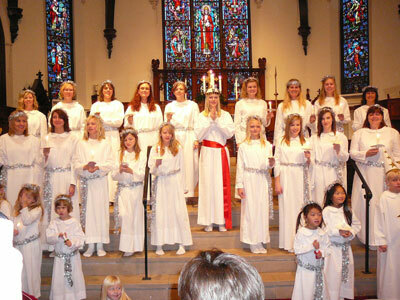 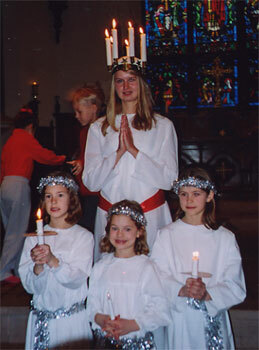 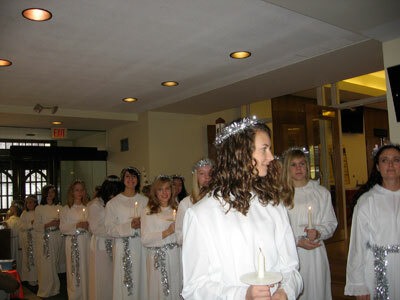 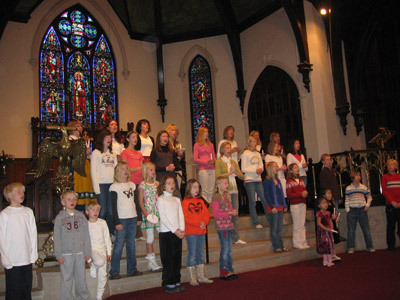 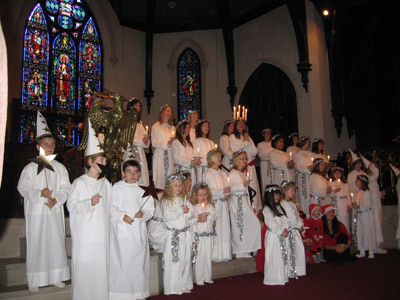 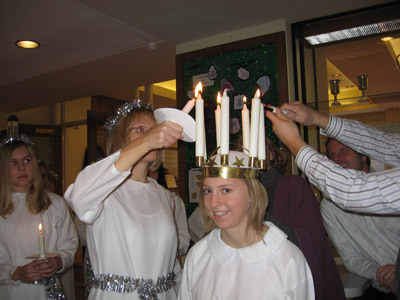 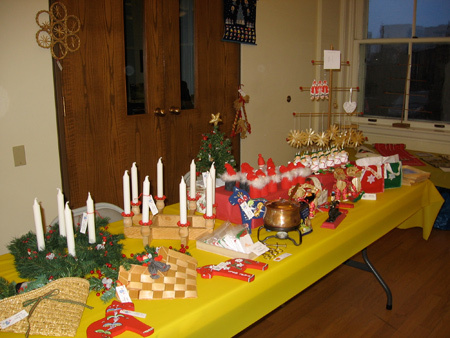 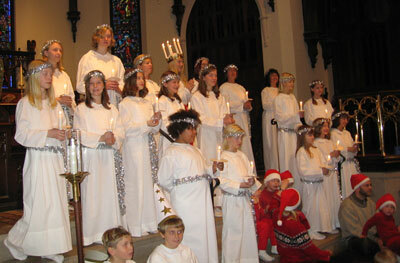 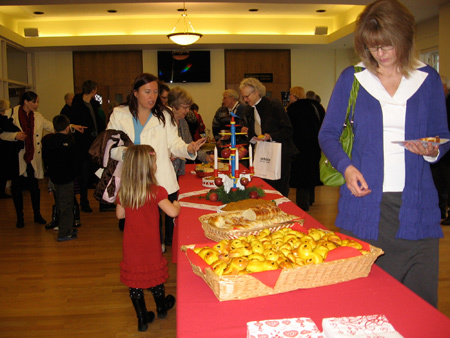 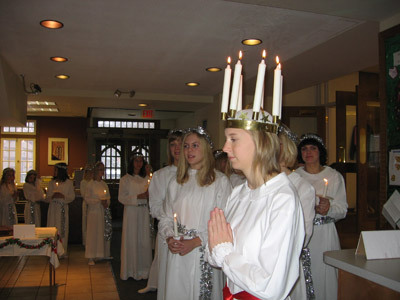 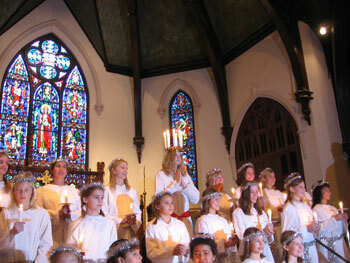 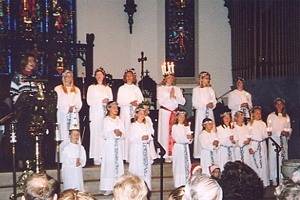 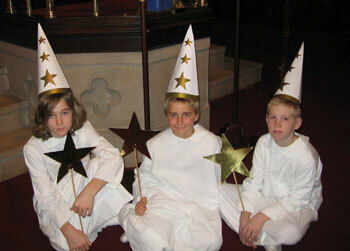 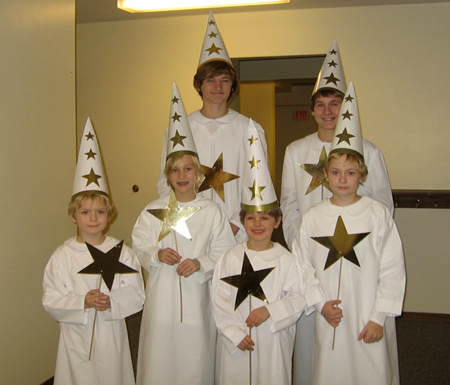 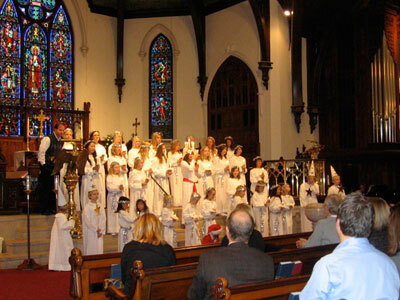 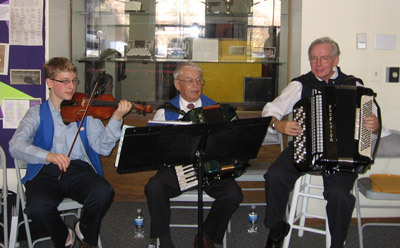 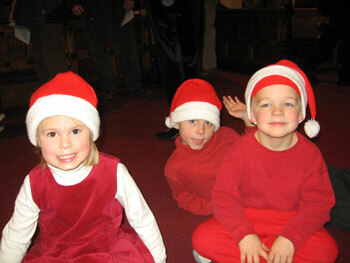 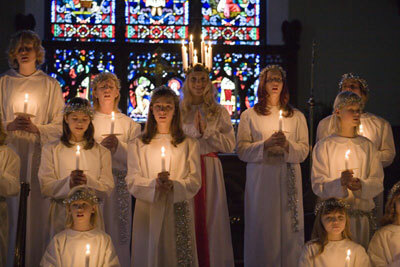 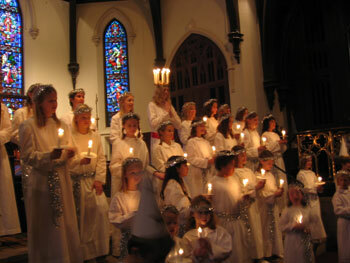 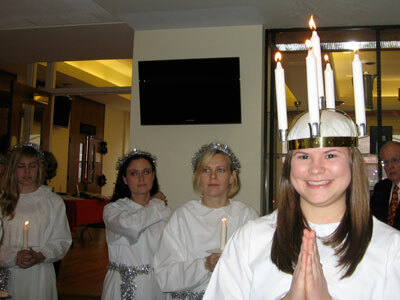 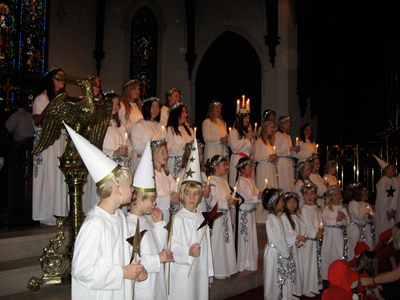 The Sixth Annual Lucia Celebration of 2002 was another great success! 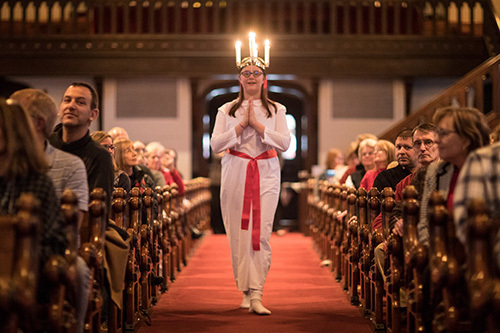 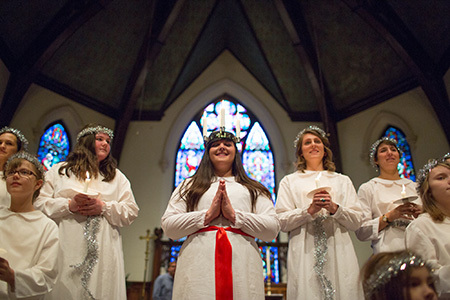 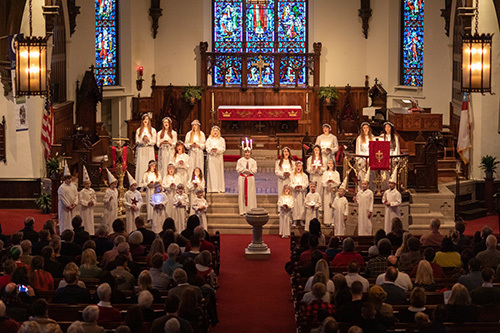 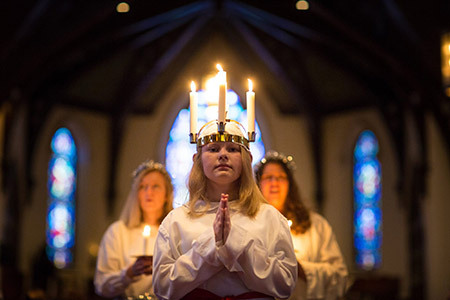 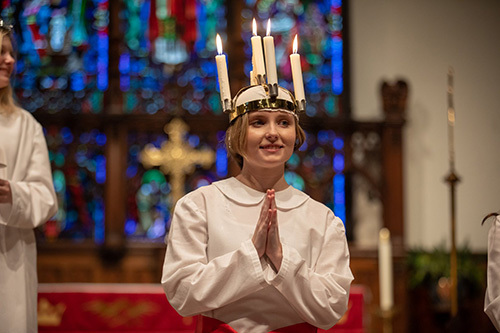 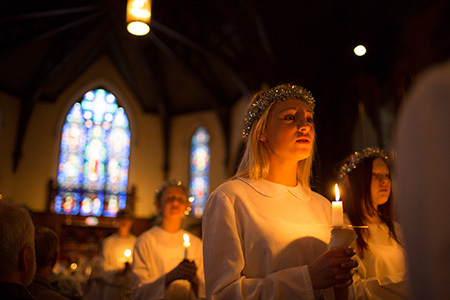 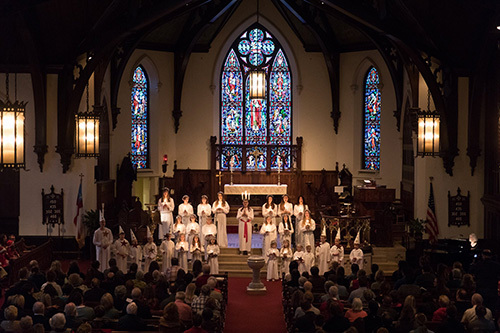 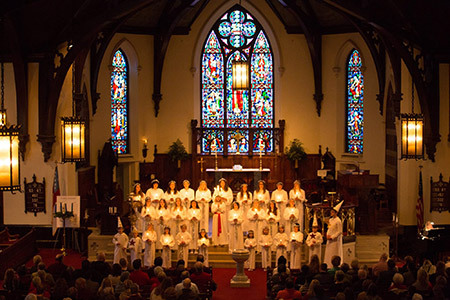 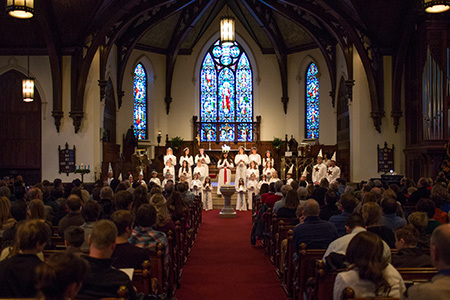 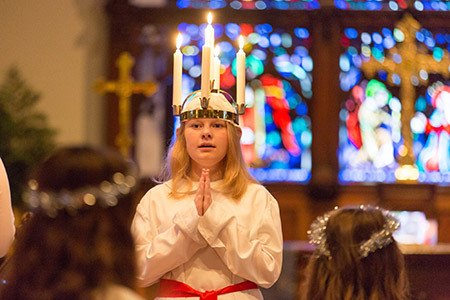 The solemnity of St. Mark’s Episcopal Church in downtown Grand Rapids provided a perfect setting for this traditional event, so dear to the hearts of Swedish people. 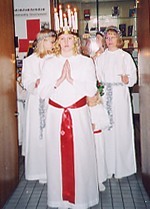 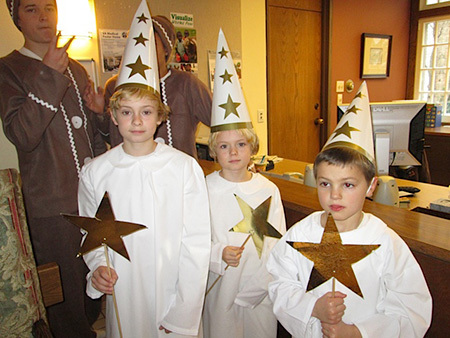 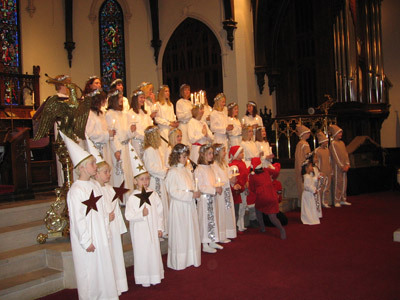 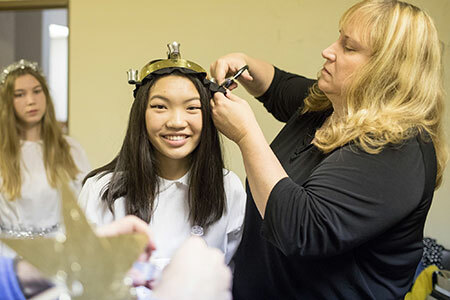 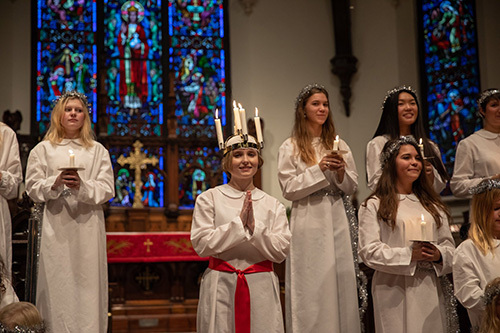 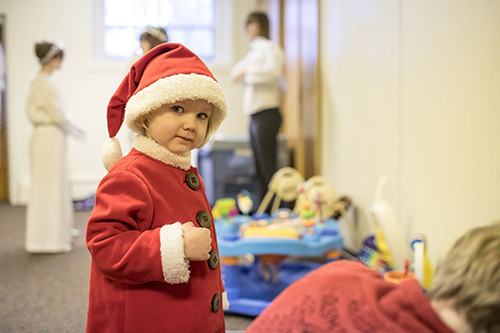 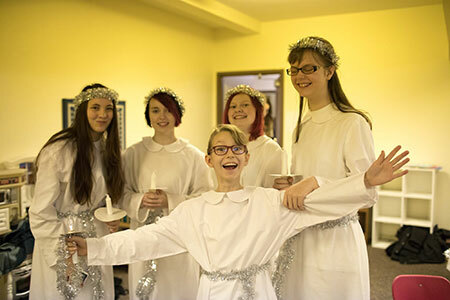 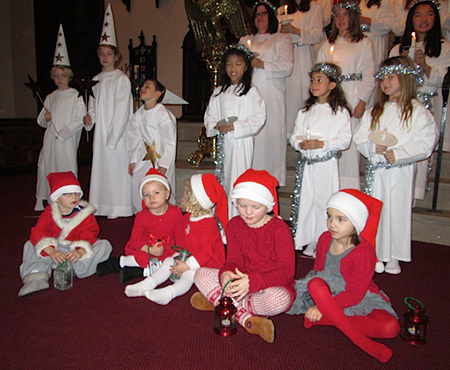 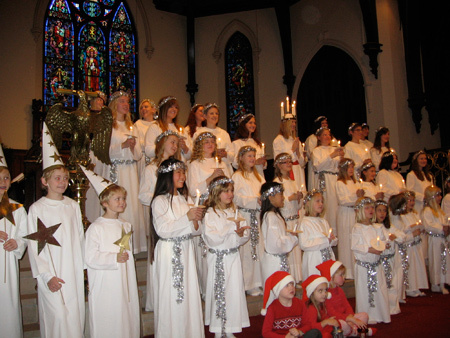 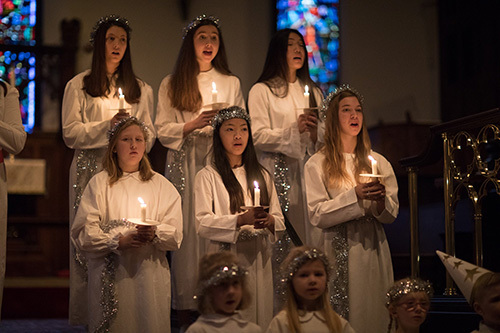 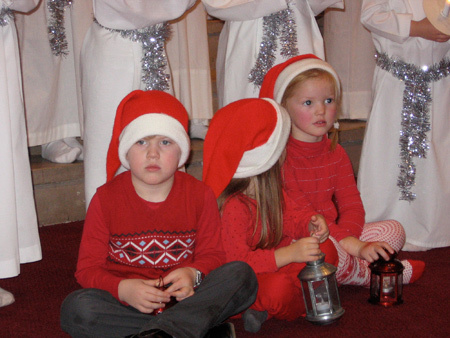 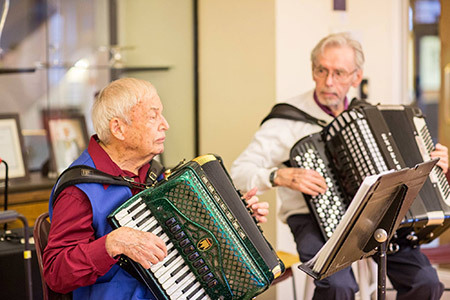 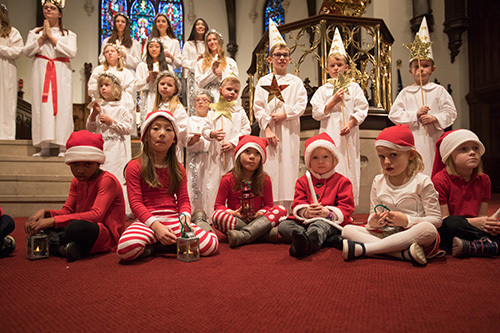 Kerstin Trowbridge, President of SAHS, had again created a luscious program of Swedish Christmas songs, music, and presentations using Lucia and her entourage of attendant girls, star boys and “tomtenissar”.